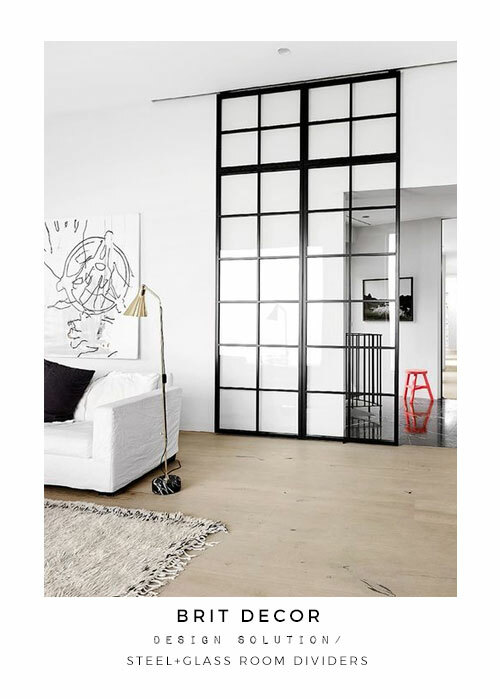 Steel + Glass may sound like something straight off of an industrial spec sheet, but like many other aspects of industrial styling and design, there is a growing trend towards applying these materials to a domestic setting, and guess what - it really WORKS! In fact, this is one of the more inventive interiors trends where function equals form, or in other words; a designer's dream! 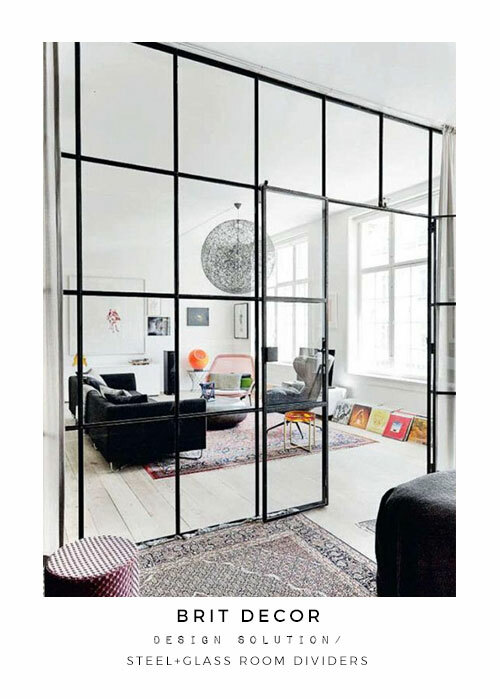 These materials can be used as an elegant solution for dividing up open plan or larger scale living spaces into zones without compromising on light or the flow of floorspace. I also love the idea of these screens on wheels - serving as sliding walls/doors for the ultimate in versatile living and functionality. 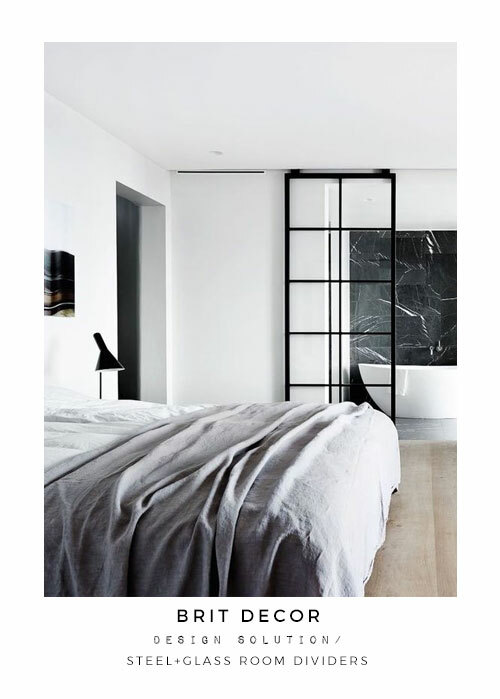 So for today I've scanned through and selected some of my top picks for steel and glass room dividers and as always, I'd love to know what you think! Wow!! great invention trends.. It's a really fantastic new trends.. It sure is Evie! Glad you like it. 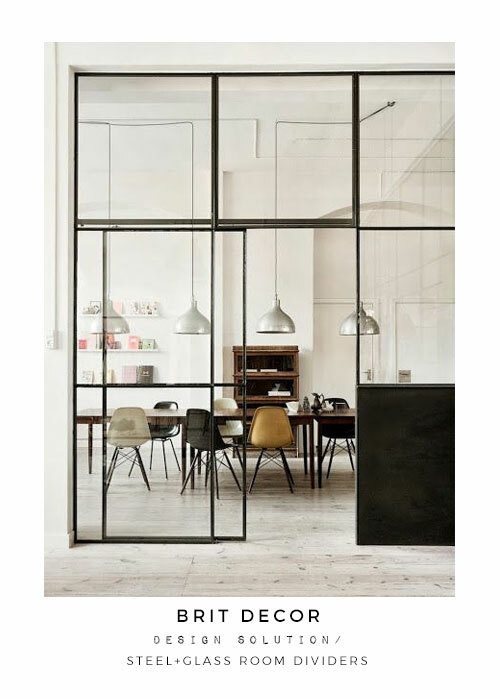 Love the idea of these glass dividers in large open plan spaces, perfect industrial chic that's all about functional practicality helping create stylish liveable spaces, now we just need to find a home like these!